Will there ever be a time when the cat dress isn't appropriate? I just don't think I'll ever get enough of it. I don't even care that a ton of bloggers have it and that it's not even unique at this point; I love it. Of course, the Katz pun never gets old either. Spring is still hit or miss around here, so I ended up layering it on Wednesday. It was 30 degrees and snowing one day, rainy the next, extremely windy the day I took these photos (which explains my hair), above 50 degrees yesterday, and it's supposed to be in the 70s this weekend. Spring in Illinois is so much fun. Each day is a new surprise. As for real life things, I'm still just winding down the semester. We're training all of the new people at work, and I'm slowly starting to turn over responsibilities to the new editor-in-chief. It's weird, in a good way. I've also been trying to spend as much time as possible with my brother, sister-in-law, nieces, and nephew here. My youngest niece, Hattie, is getting so close to crawling, and it's adorable. I wear this necklace pretty often, but I think it's only made it into a blog post once. My sister-in-law, Elyse, made it, and it's one of my favorite pieces of jewelry that I own. I've mentioned it before, but you all really should check out her art blog. Of course I would never say it to her face, but she's awesome. Illinois weather is enough to make one go crazy, I can't believe it snowed this past week. I was just wearing a dress this past weekend and then it snows and I'm back into a sweater and big coat! Hopefully some more stable spring weather is around the corner! I think a post like that would be very interesting. That would make a really cool blogpost! Also, screw trends and such, that cat dress will be cute regardless of all that! Love the necklace too -- such a pretty pop of color. I can't get over how cute this dress is! I like that you paired it with a slouchy top! I think you should definitely do those blog posts and write more about your life! I'll read them! I love your cat dress so much! You always find cute ways to style it. I don't even care if a bunch of people have it. It's a great piece! Spring in Georgia is a lot like up there too, it seems! I was wearing a crop top and short skirt last weekend and now I'm in a jacket and tights. What is up with the weather? Also, a cat print is never old! That dress will never be inappropriate. I totally missed the boat on buying that one and will probs regret it forever! Cute shoes too! I love the kitty dress/skirt. Summer has definitely hit on my side of the world, but I'm missing spring and it's cool air. Good luck on your project! Loving your outfits! i dont care i cant get enough of this dress!!!! i love it. and honestly you should write about your transition. i'm sure a lot of people would be able to relate to it or be inspired by it. it's nice to know you're not alone. it's your blog! write about you and your experiences. theres too many bloggers out there who have lost their humanity in exchange for too many c/o items. 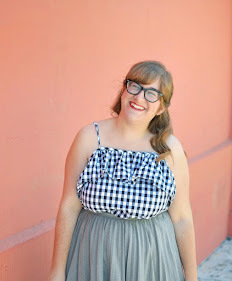 the blogging community needs more gals like you! all right stepping off my soapbox now. lol. and yes- always interested in some posts with more writing. I like to get to know friends through their blogs that way!